The whole world loves Microsoft Office, it is the best document editing software. But this software comes with a price tag. We have many free alternatives to Microsoft. These software can be downloaded and installed in your personal computer. Let us take you to the list of four document editing software. This is a free open source software competing Microsoft Office. It comes with a package of five productivity modules: a) Writer – the word processor,b) Calc -to make spreadsheet d) Impress- to make presentations e)Draw- to edit /make graphics f)Base-to manipulate databases. It is the best and most downloaded free substitute for Microsoft. Users will find very difficult to find a flaw in this software. A free office suite software that has three productivity modules :a) word processor b) spreadsheet program c) presentation maker. This software is fully compatible with Microsoft Office file formats. It has a Pdf Convertor, automatic spell checker, multiple tabs etc. A great alternative to Microsoft Office. Libre Office is another free office software consisting of writer( word processor), Calc( spreadsheet program), Draw (Image editor), Impress(presentation maker), Math, and base( data base manipulator). Each application interface is similar to Microsoft Office products. A free alternative to Microsoft Office . It can be installed on Windows and Linux operating system. 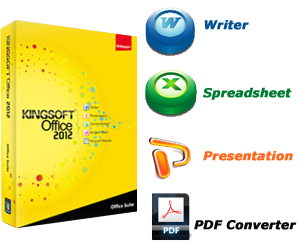 This software come with FreeOffice Text Maker( word processor), FreeOffice PlanMaker(spreadsheet program)and FreeOffice Presentation(Presentation making program). A nice well designed interface combined with easy to use. 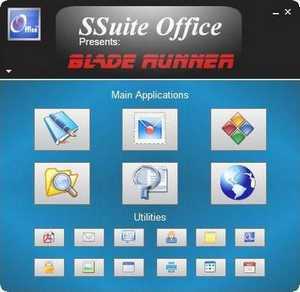 SSuite Office has excellent office suites and software applications, has just enough to be useful. What makes it interesting is that it has no main menu. But it is still the prettiest interface I have seen. The icons are large, beautiful and very crisp. The overall look is excellent and the apps are very easy to use. The documents formats are limited, but at least they can be opened by any other editors. If you want something quick and can still do the job, this will do just fine.